I am a year away from my viva so are my friends so I purchased them for us all. My supervisor thought they were great as a colleague of mine gave me hers! So, how about it. A useful and unusual present. Bright and colourful. Practical. 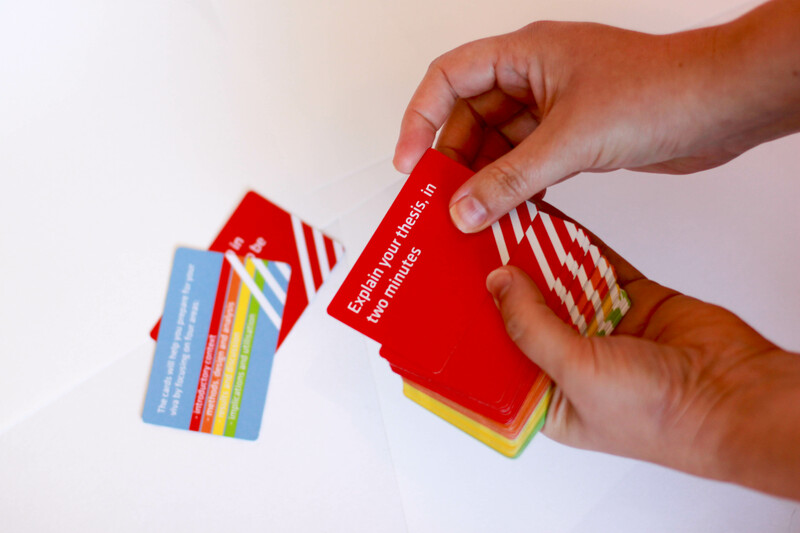 VivaCards is a boxed set of questions designed to help you prepare for the viva examination that people sit at the end of their PhD (in the UK and Europe). We also continue to receive orders from the US, Canada, Australia and New Zealand, including from people who don’t even have a viva to sit, but who find the cards useful to help structure their writing and thinking. Thank you. The viva cards arrived this morning and they are brilliant! I shall let my friends know and pass on your details. Whether someone has just started their research and is approaching a transfer viva to be confirmed as a PhD candidate, is in the middle and considering how to write it up and structure it, or whether they’ve submitted and are waiting for a viva date. Customers tell us that VivaCards help them. Orders are always despatched within 48 hours of ordering (usually quicker). Order before December 23rd 2015 and we’ll upgrade postage to first class for free. International orders are shipped using Royal Mail Airmail and they estimate delivery to Europe in 3-5 working days, rest of the world in 5-7 working days. Finally, if you would like us to send the cards direct to someone as a gift, we can include a personal message on a postcard to say who it is from, just add what you would like it to say in the note field when you purchase. Any questions just drop us a line here and if you’d like to order click here.